October 29, 2015 7:52 pm / 1 Comment on Precious in the sight of the LORD is the death of his saints! Our ALC&C family is in a time of mourning as we grieve the loss of one of our own. 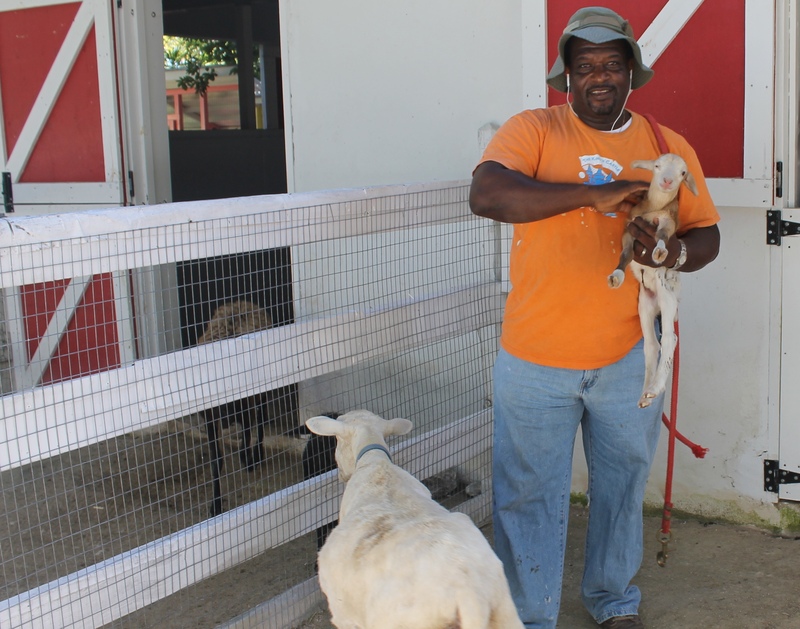 On Sunday morning, Sean Wilson, caretaker of the animals and grounds at Adventure Learning Centre, was on his way to church when he was involved in a motor vehicle accident. We have been told that in the accident Sean’s chest hit the steering wheel and caused significant lung damage. He was admitted to intensive care and put on a ventilator Sunday evening. Sometimes God answers our prayers in ways we would not prefer. We have been praying for healing for Sean, and God has chosen to heal Sean by taking him home to be with him. Sean left this world last evening around 1015pm. Right now we are saddened and in shock with our loss, but we are rejoicing with him as he is now standing tall and whole in the presence of the Savior whom he loved. Thank you so much for all the prayers, words of encouragement and support you have been sending on behalf of our dear brother and ministry partner and ask that you continue to remember his wife, the Wilson family, and the ALC&C family at this time of grief. The entire Wilson family would appreciate further prayers for their family in that Sean’s mom died unexpectedly this morning as well. Many of you have asked for funeral arrangements and details. We will try to keep you posted. 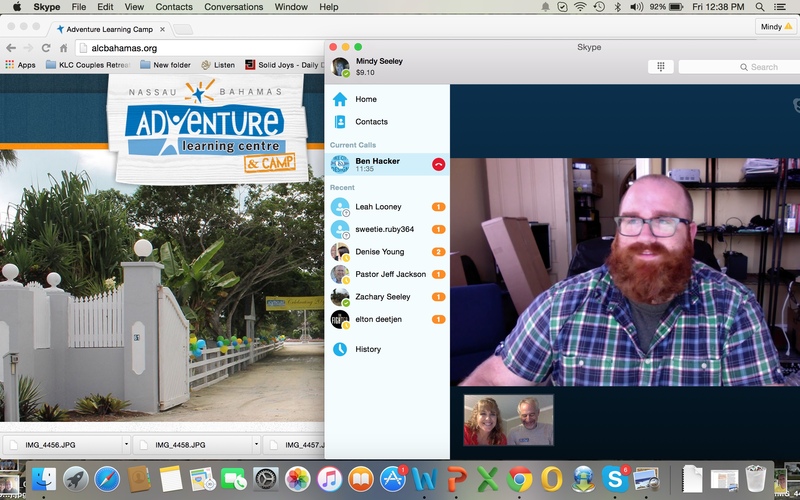 You may check The Seeley Family Serving in the Bahamas Facebook page or the Adventure Learning Centre and Camp’s Facebook page for more frequent updates. 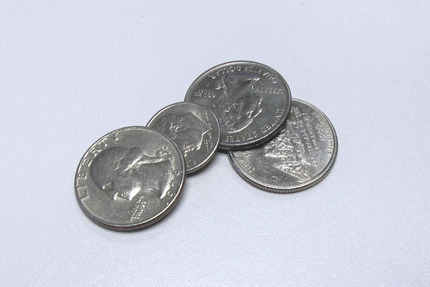 October 7, 2015 12:01 am / 1 Comment on Eighty-five cents a day! The last couple months we have been reporting that support has been down. We came to the Bahamas almost 3 years ago knowing we were under funded but with faith that God would provide for our needs. He has faithfully supplied our needs through the generosity of others and through money from our personal savings. However, our savings has been depleted to a critical level, and now we need to evaluate our long-term financial picture and commitment to the ministry work here in The Bahamas. One way missionaries raise support for their ministry work is to travel and present their ministries to prospective donors. The up side to doing the personal visits is getting to talk to people face to face. The down side is it costs a lot of money to travel, traveling is very tiring, and time spent away can negatively impact the ministry. We have been praying about what to do to accomplish our goal (increase our monthly support level) while spending as little time, resources and energy as possible. After all, we are here to minister to the Bahamian people and those who come to serve the Bahamian people, and that is hard to accomplish effectively when we are away from the island. This year we are looking for 50 people who would be willing to pledge to support us financially with $25 per month. Why $25? First of all, $0.85 a day is not a lot of money for most people. It allows people who would normally think they cannot afford to contribute to a ministry to see how affordable it can be. 50 $25/month (or 25 $50/month or 13 $100/month) pledges would close the deficit we are experiencing. To donate, click here or on the “Support/Donate” link above. Watch how God works: For every $25 pledge we receive, we will be using a tool in the sidebar (haven’t worked through that yet) to record the progress so all can see how God is working! Please indicate in your correspondence with Shepherd’s Staff that your donation is for the “$0.85/day campaign” so we can track the progress to 50 new supporters. Thank you in advance for prayerfully considering how God can use you to keep us on the missionfield fully funded! As this is being published, Tim is in Pennsylvania attending a conference to learn more about the new software the ALC&C is using to help facilitate and track donations. He has called daily and said the conference has been very beneficial, but it is a lot of information to process. Please pray for Tim as he finishes up the conference tomorrow and returns to the island on Thursday. In two weeks we will be welcoming the ALC&C board. They will be coming for a board meeting and time of encouragement to the staff. One of the big items of business remains finding a new Executive Director and installing new board members. Please pray for them as they meet to discuss ALC&C business and provide direction and leadership to this ministry and for these two very important initiatives. In September we were finally able to meet in person a fellow missionary who up until August was stationed with his family in the Turks and Caicos Islands with Child Evangelism Fellowship. Tim “met” Sean Miller in an online class a couple years ago. He and his family are back in the states but are still working with CEF as the Caribbean Director. He was on the island, and we were able to show him around. Tom Schafer returned to the island last week for a visit. It nice to get caught up with him and to hear his awesome laugh again. He is here to rest but has been able to help Tim Ryan at All Saints Camp this week. Last week Mitch Stein from Florida was here to observe the ALC&C. He followed programming and had opportunity to visit with staff and hear their stories. We enjoyed getting to know Mitch. Meet Ben Hacker. Ben is a friend from our days at Living Waters Bible Camp. He is also an ALC&C connection in that he is the husband of Randy Grebe’s niece. Ben’s job is web development. We approached him a few weeks ago to assist us in taking ownership of our website (it is currently “owned” by Calvary Chapel) and helping us make our website more user friendly, mobile-ready, and navigateable. He has graciously offered to bless us with his services. Thank you, Ben, for all you are doing for us! Tim was able to meet with the Operation Mobilization at a luncheon meeting on September 16th. There is talk of the OM ship coming here in a year or two. 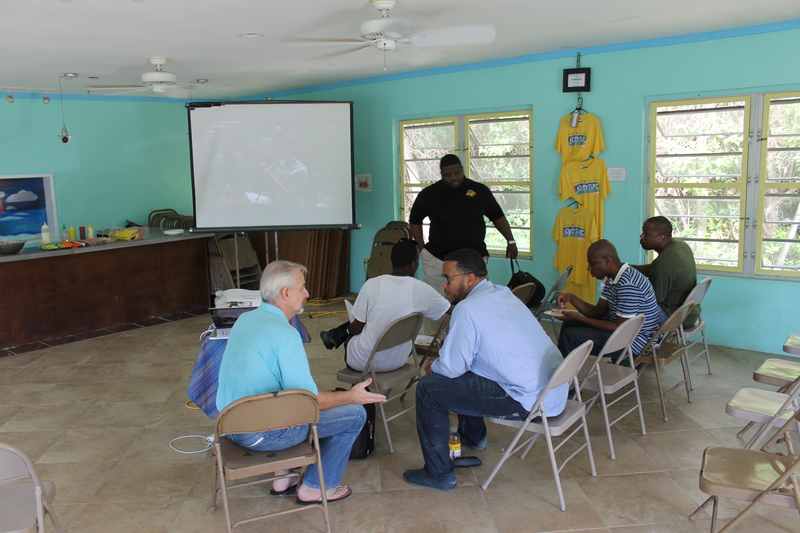 We hosted CYLN (Christian Youth Leaders Network) at Camp on September 26th. 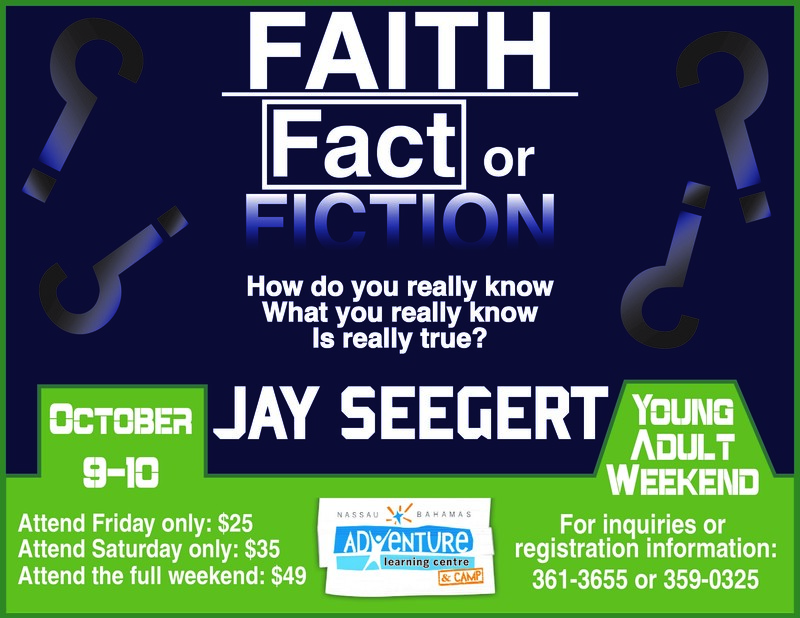 We were also able to advertise Young Adult Weekend to the youth leaders. It is out with the old to make way for the new. The old cabin came down and the area is getting prepped for construction of the new, larger cabin that will soon be built. Tim has been making a lot of calls and trying to get the approvals and permits finalized with the Ministry of Works. As with all construction projects we have worked on here, challenges abound. Part of the hang-up is the two new staff cottages are tied into the Cabin 3 building permit. Please pray the final approval is given soon. We hope to have the cabin constructed by December for the January mission teams of 95 people. 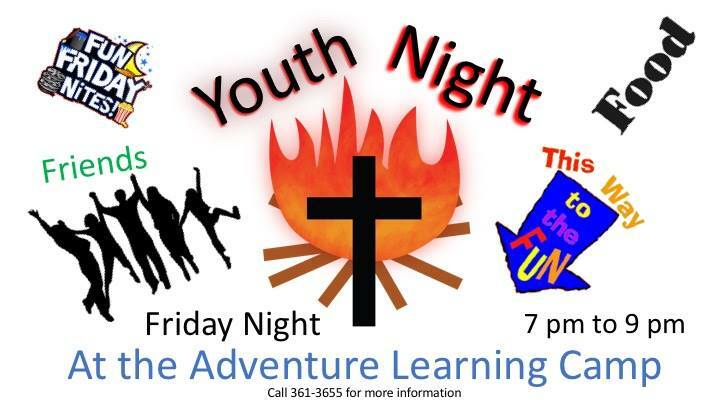 Our weekly Friday night Youth Outreach is in full swing. This year we are using a small groups format with the theme being Fruits of the Spirit. The young people are excited about the beginning of a new year, and we look forward to another year of opportunity to reach out to the young people in the Bahamas. Young people 18-30 years old will be gathering at Camp this weekend to fellowship and hear how to strengthen their faith. We are looking forward to an fun, exciting, informative weekend. Please pray for logistics of the weekend and that God prepares hearts to receive the message. Programing has commenced at the Centre. Our three new facilitators had their first opportunity to fly solo last week. Please pray for a busy year of bringing the wonders of God’s creation together with the curiosity of kids. After school Adventure Clubs have resumed as well. Please pray for the staff and for the young people we minister to during the programming at the Centre and the clubs at the schools. Still no hurricanes. We have lived here for almost three years, and we have never had to experience a hurricane. In a state of urgency that closely resembles how people in northern states react to an impending blizzard, the people of the Bahamas treat hurricane warnings very seriously. Two recent storms, Erika and Joaquin, threatened to visit us here on New Providence, but neither one of them showed up. 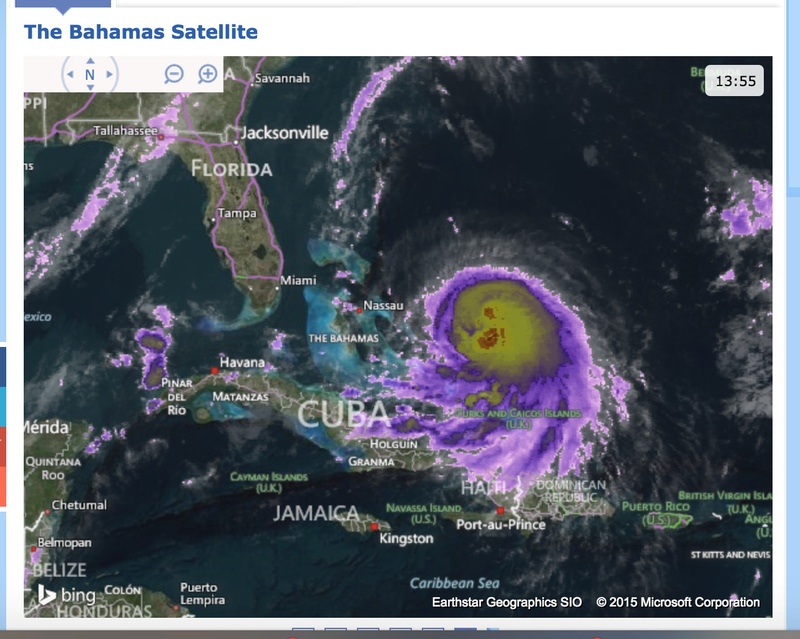 Now Joaquin did ravage southern Bahamas Islands and residents there are worthy of our prayers, but we are praising God that all we saw was very little rain, light breezes, and high rough waves on the seashore. Please pray we make it through the next couple of months without a major storm here. 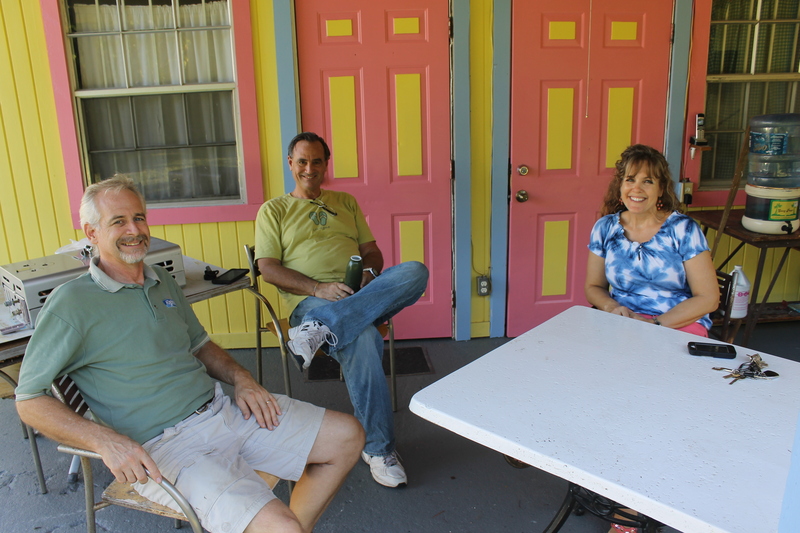 Tim’s sister and husband, Chuck and Ruth Myers were driving from North Carolina to Florida and stopped in to see us. Mindy had lunch with the leader of a mission team that was at Camp in June. This is Mamie Rand. Tim’s niece Bethany and fiance Chandler had dinner with us at Mindy’s sister’s house. The proud parents of a United States Marine. So glad we got to be there to support Liam. Family day at Parris Island. In August, Zachary and Mindy were able to fly to South Carolina to take part in Mindy’s nephew’s Marine Bootcamp festivities. It was a great experience for them, and they enjoyed getting to be with family as well as connect with a former mission team member. Enjoying time with ALC&C staff is one of the perks of living in community. Often we are able to share meals, celebrate birthdays, and get together for games and movie nights. Meet Pastor Jeff Jackson. Jeff is the founder of Shepherd’s Staff Mission Facilitators. 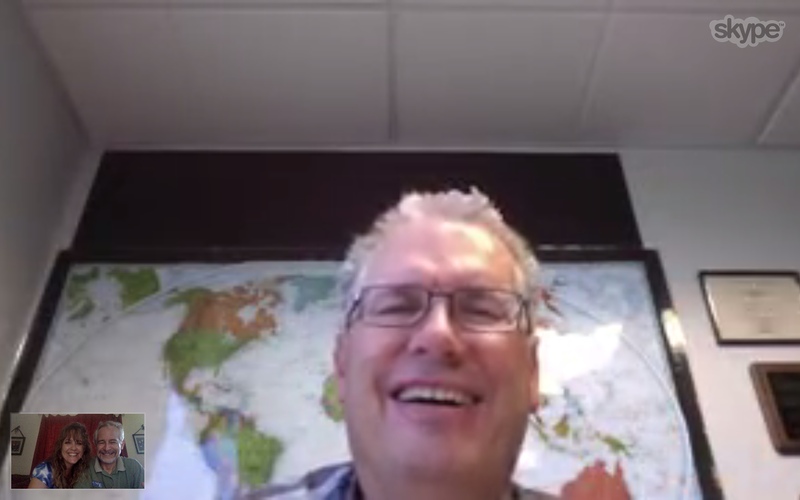 He periodically connects with us via Skype to encourage us and see how we are doing. Last week we got to visit with him for a short time. Thank you, Pastor Jeff, for your care and concern for us in the field! As we conclude this month’s update, please know that our thoughts and prayers are with each of you. We appreciate you taking the time to wade through this lengthy update. 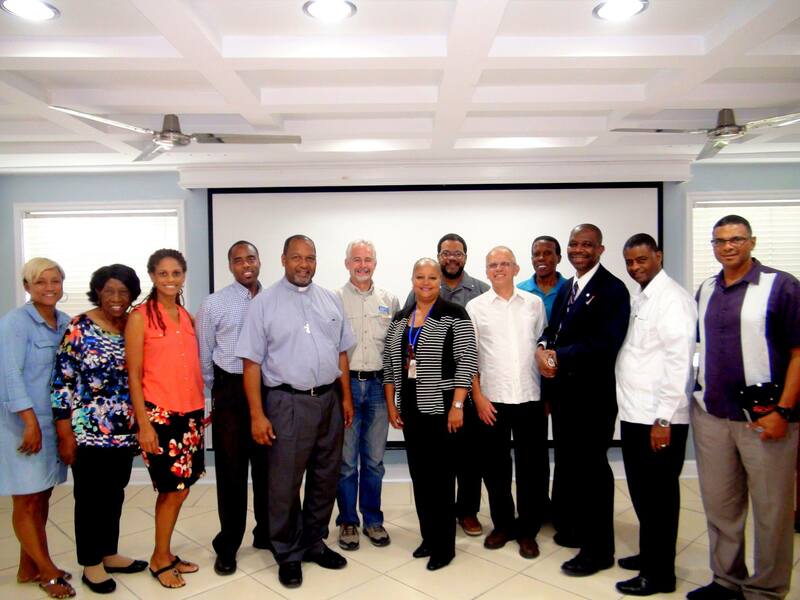 We know it is long, but so much is happening here in the Bahamas as we seek to serve God and further His kingdom. Please pray for us as we seek to serve the Lord and to raise the necessary funds to continue the work God has called us to do here. Pray for $.85/day supporters!